Munn Street Mews is a private charming house in central Merimbula set in a lovely garden within a few minutes flat and easy stroll to Merimbula's shops, clubs, restaurants, cafes and cinema.The house is on a battle-axe block so despite its central location is free from most traffic noise. The closest beach is at Spencer Park which is a ten minute walk from the house and ideal for families. Spencer Park has a great playground for the kids and also BBQ facilities and toilets. Other beaches are only minutes drive away. The house sleeps up to four people in two bedrooms with modern furnishings and equipment. All linen is supplied, apart from beach towels. The reverse cycle air conditioned living/dining area looks out onto a green reserve where you will probably see kangaroos.There is a flat screen TV & Blu-Ray DVD player together with access to on-line entertainment, including Netflix. The modern kitchen is fully equipped including a dishwasher, microwave oven, coffee machine and sandwich maker. There is a gas BBQ and an outdoor eating area on the veranda. Complimentary high-speed Wi-Fi Internet is provided for the convenience of our guests. The reverse cycle air-conditioned main bedroom has a queen-size bed and also a flat screen full HD TV/DVD. The second bedroom has two single beds but can be configured as a king-size bed if requested upon booking. This bedroom also has reverse cycle air-conditioning. A port-a-cot is available upon request at no extra charge. Complimentary fresh milk of choice, tea, ground coffee and biscuits are provided for guests' arrival. Washing powder is also provided for guests' laundry needs during their stay. There is undercover parking for one car and always adequate parking space in the street if needed for additional vehicles or boats. Please take a look at the reviews below to see what great things some previous guests have said about their stay at Munn Street Mews. Our calendar is always up to date so if it shows that a date is not available, we already have a booking. Central Merimbula - a few minutes flat and easy stroll to clubs, cinema, shops, restaurants & cafes. Beaches, restaurants, cinema, fun park, national parks, fishing, whale watching. Carport space for one car. Pantry items purchased by previous guests are sometimes available. These may include non-perishable goods such as cooking oil, vinegar and some sauces. We loved staying at this beautiful little house. So private and quiet and had everything provided and lots of luxurious touches. We are already planning our next stay. Absolutely perfect, a home away from home in paradise. Colin was an incredible host, no detail was missed, the home is lovely and well cared for. Marvellous unit so close to centre of town. Munn Street Mews was a fantastic unit so close to town but so quiet. The view over the reserve at the rear was excellent, and so peaceful. All modern appliances and overall a very comfy stay. Thank you kindly for your great review of your stay at Munn Street Mews, Garry. We look forward to welcoming you back sometime. Relaxing, great location and very clean and comfortable. 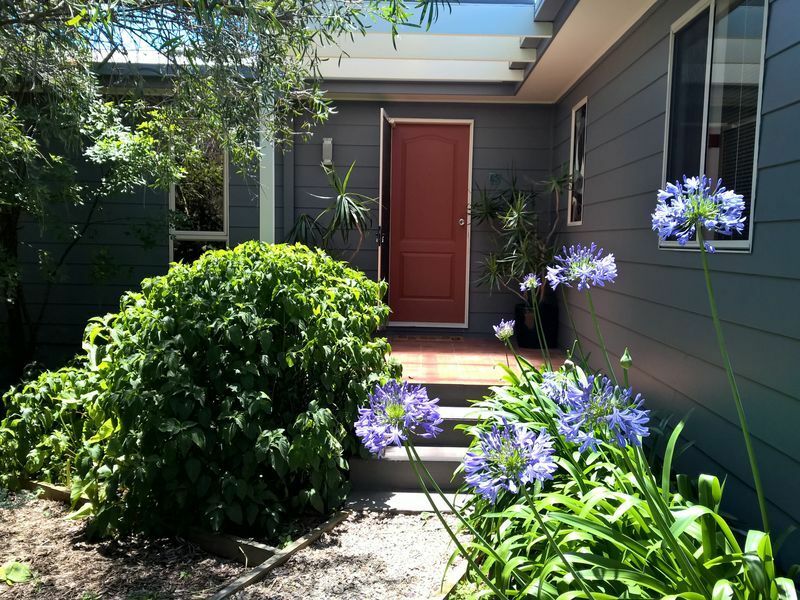 I would definitely recommend Munn St Mews, very clean, comfortable and quiet, an easy couple of minutes walk to the centre of town, everything that was needed was provided, waking up to the birds or eating dinner on the veranda watching the Kangaroos was very relaxing. Easy communication for check in / out. Thank you kindly for your positive review of Munn Street Mews. We look forward to welcoming you back sometime. Enjoyed our stay here. Excellent facilities and the complimentary milk, coffee and chocolate was nice touch. Overall a very peaceful battleaxe property with pleasant bushland reserve outlook. We loved Munn Street Mews! We spent our honeymoon at Munn Street Mews and were absolutely delighted with the owner and property from the first moment we walked in the front door. It was private, comfortable and of very high quality. We can not wait to return! It felt like a real holiday.